My awesome Dad bought me a new camera for Christmas this year and I just LOVE it! I can't wait until the Spring and I can get outside and actually take some good pictures! 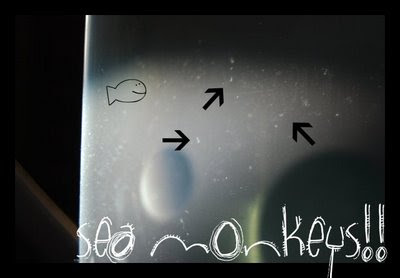 Kya's Sea Monkeys that she got for Christmas... these always remind me of Marina... we always had them growing up LOL!